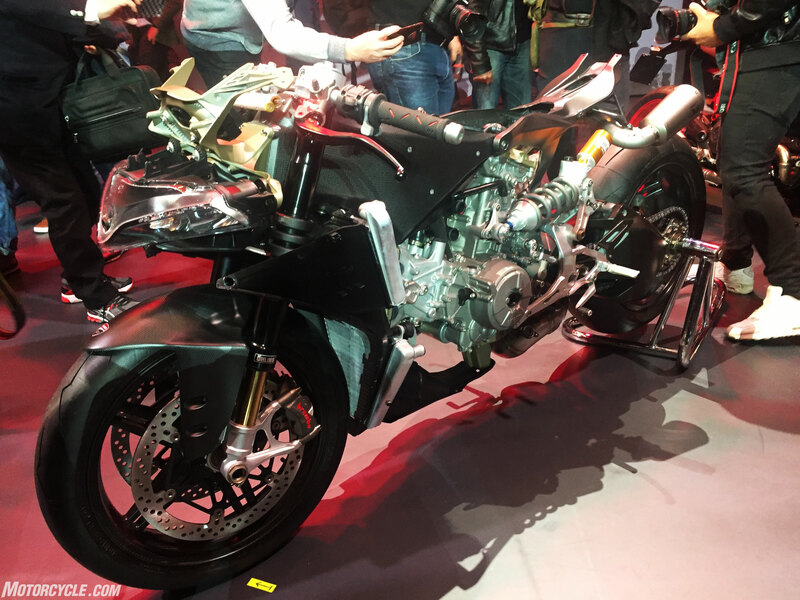 Ducati capped off its 2016 EICMA presentation with a limited-edition 1299 Superleggera, packaging its powerful 1285cc Superquadro engine almost entirely in carbon fiber. 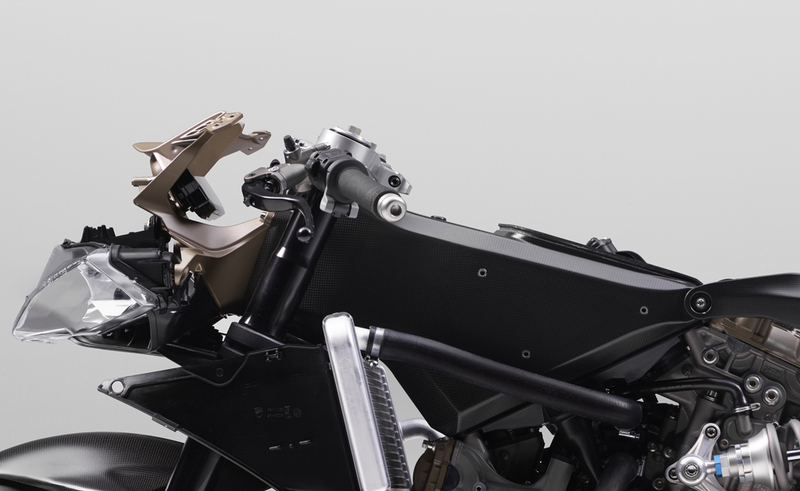 The 1299 SL uses the lightweight material for its structural components, which is a first for a production motorcycle (albeit limited to 500 units), for a claimed wet weight of 364 pounds (368 for European models). 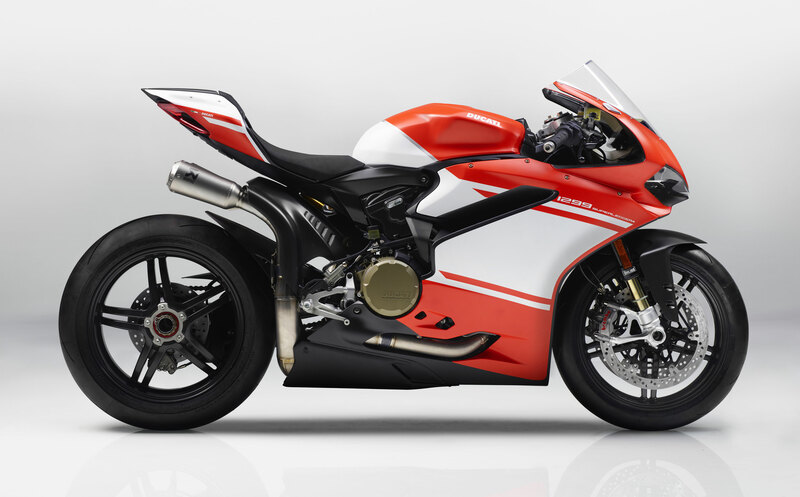 The price for what Ducati calls the “quintessence of motorcycling?” £72,000 or $89,225 US. 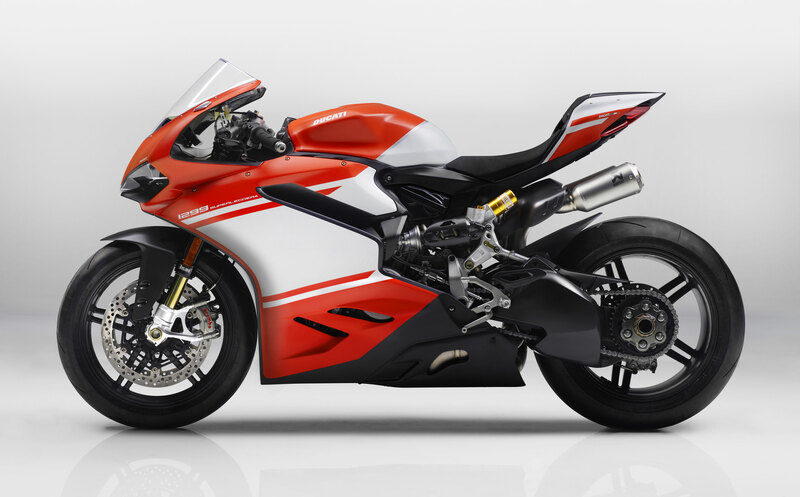 But you can put away your checkbook because Ducati says all 500 units are already sold out. 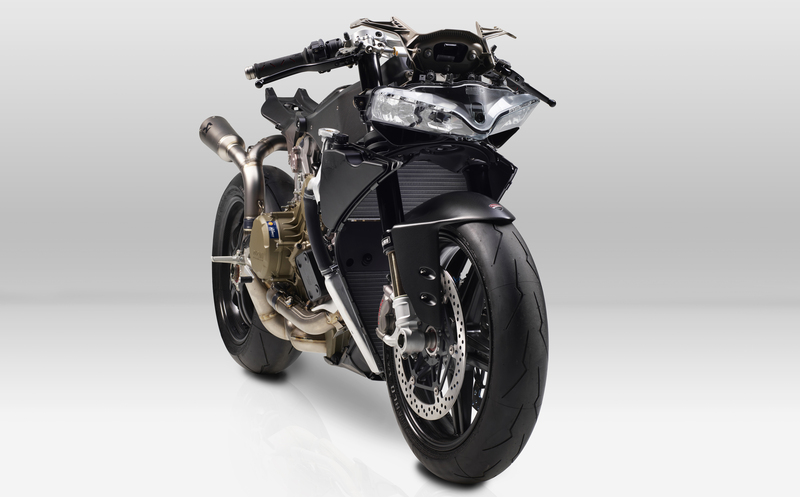 The fairing, wheels, swingarm, frame and subframe are all formed of carbon fiber, contributing to the weight savings. The CF components underwent three non-destructive inspection methods normally employed in the aerospace industry to ensure their constructive integrity. 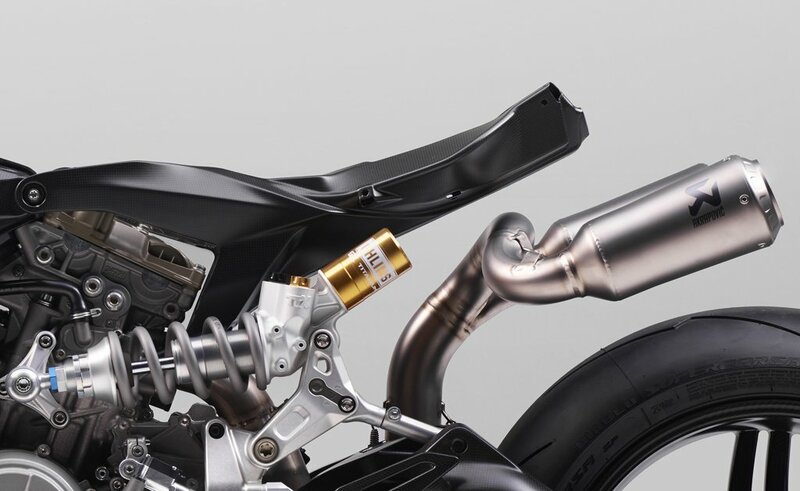 The swingarm and monocoque frame with integrated airbox are made of carbon fiber with a resin system making them more resistant to high temperatures. Both parts also use 7075 aluminum alloy inserts co-laminated into the structure. Ducati says the frame is 40% lighter (-3.7 pounds) than the 1299 Panigale’s frame, while the swingarm offers additional 2-lb. weight difference (an 18% reduction compared to the Panigale’s swingarm). 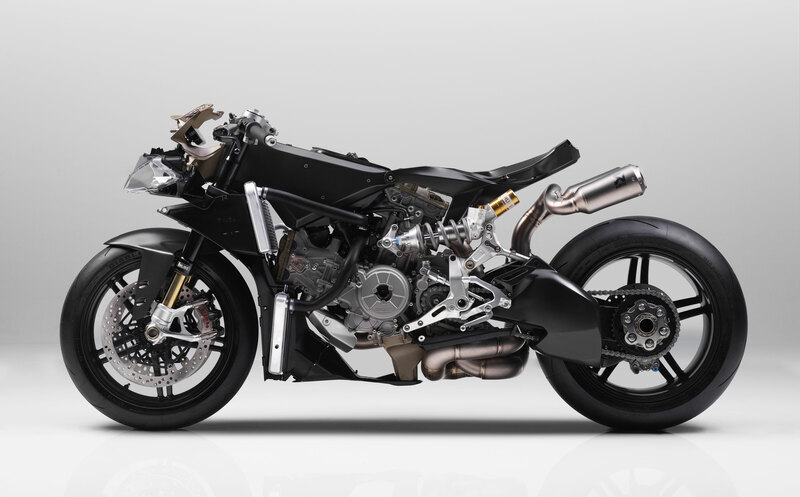 The carbon fiber rear subframe is similar to the one found on the 1199 Superleggera. 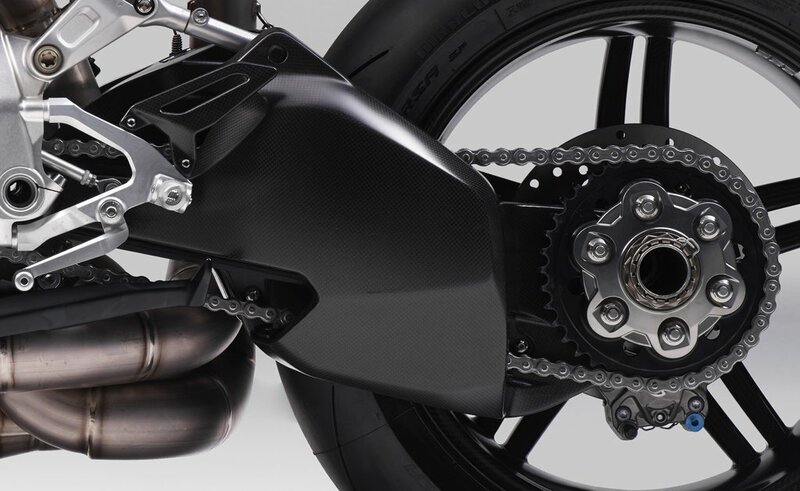 Carbon fiber is also used for the fairing, front and rear fenders and exhaust shielding. The wheels are also made of carbon, with aluminum hubs screwed into the composite structure. 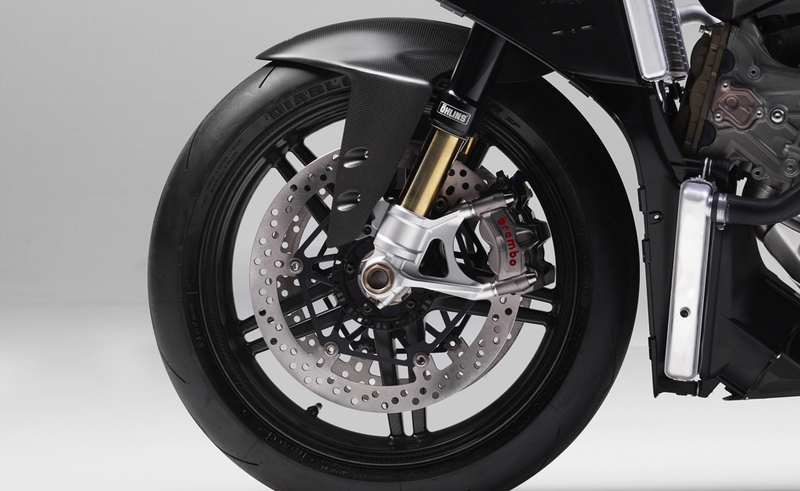 Ducati claims the wheels are 3.1 pounds lighter than their forged aluminum counterparts, while offering 44% less rolling resistance in the rear wheel and 26% less rolling resistance for the front wheel. The front wheel is hooked up to a 43mm Öhlins FL936 inverted fork which Ducati says is 3 pounds lighter than the Panigale R’s fork. The Öhlins TTX36 rear shock is also 1.1 pounds lighter thanks to a new titanium spring. Brembo supplies the braking components including the twin 330mm discs and M50 monoblock calipers up front, now with TT29OP1 brake pads. A two-piston caliper grips the 245mm rear disc. Both wheels are wrapped in Pirelli Diablo Supercorsa SP tires. 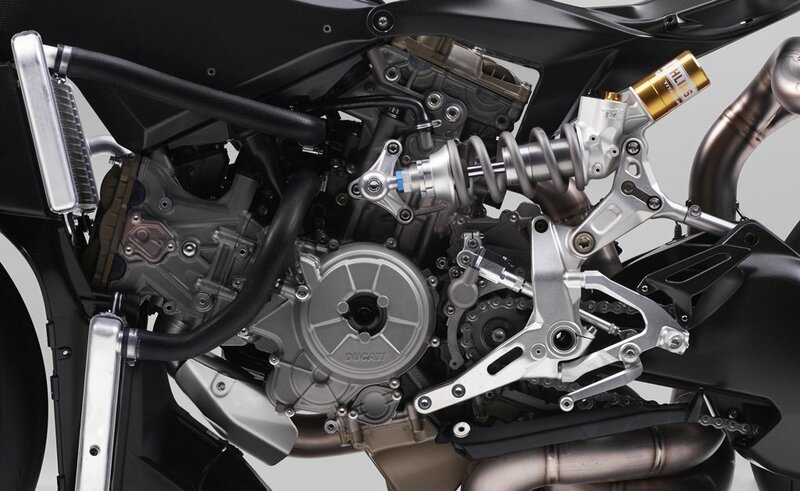 Underneath all of that carbon is the most powerful iteration of Ducati’s 1285cc Superquadro V-Twin engine, claiming a maximum output of 212 hp at 11,000 rpm, while a peak torque of 108.0 lb-ft. is reached at 9000 rpm. The 48mm intake valves and 39.5mm exhaust valves are larger than the ones on the 1299 Panigale, while new camshafts have improved profiles and increased valve lift. Ducati engineers lightened the crankshaft while giving it a larger crankpin and tungsten balancing pads. The new titanium con-rods are paired to 116mm diameter pistons with machined crowns for a 13:1 compression ratio. The SL’s cylinder liners are aluminum compared to the steel liners found on the Panigale. 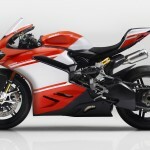 Overall, Ducati claims a 4.6-pound weight savings in the SL’s engine compared to the 1299 Panigale’s Superquadro engine. The 1299 SL uses Ducati’s latest electronic package powered by a six-axis inertial measurement unit (6D IMU). 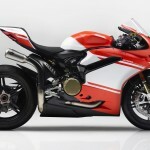 The Ducati Traction Control EVO system is even further advanced than the version used on the Anniversario edition Panigale S introduced in July. Ducati says the new algorithm ensures faster, more precise intervention. 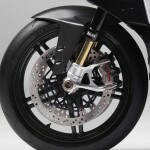 Levels 1 and 2 are said to allow more wheelspin to get the rear to slide around and help reach the ideal cornering line. DTC EVO is complemented by the new Ducati Slide Control system which meters out torque delivery as a function of slide angle. 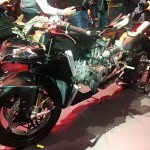 Also new is three-level Ducati Power Launch system. Once set with the clutch lever pulled in, a rider can engage first gear and start opening the throttle. As the clutch lever is released, DPL stabilizes the engine to an optimal speed. Once the clutch lever is completely released, DPL controls torque delivery to optimize acceleration. 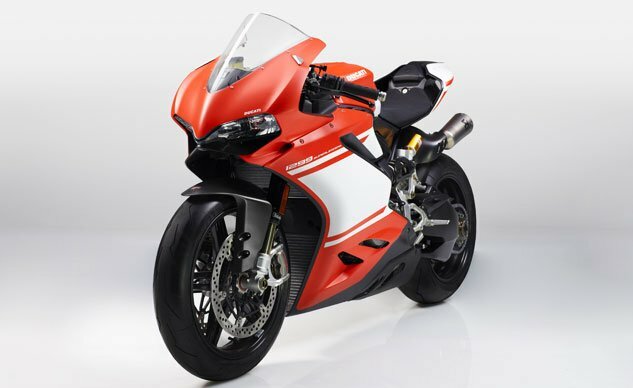 DPL works in conjunction with the updated Ducati Wheelie Control EVO system and traction control. The 1299 Superleggera also receives the latest versions of Bosch’s cornering ABS and Ducati’s race-developed engine braking control. 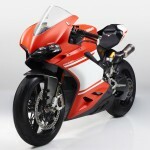 Ducati’s GPS-enabled data analyzer is also included as standard.